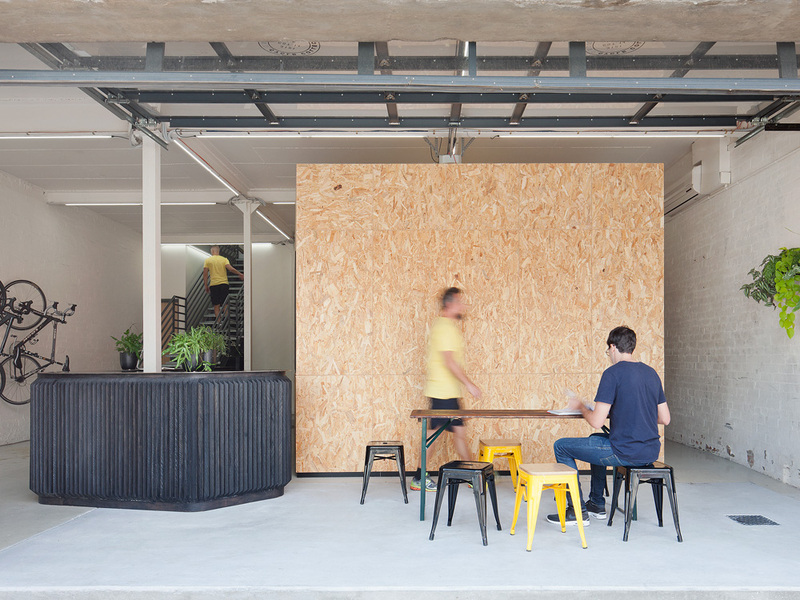 An interior health and wellbeing project, the existing condition was a vacant two-storey brick warehouse. 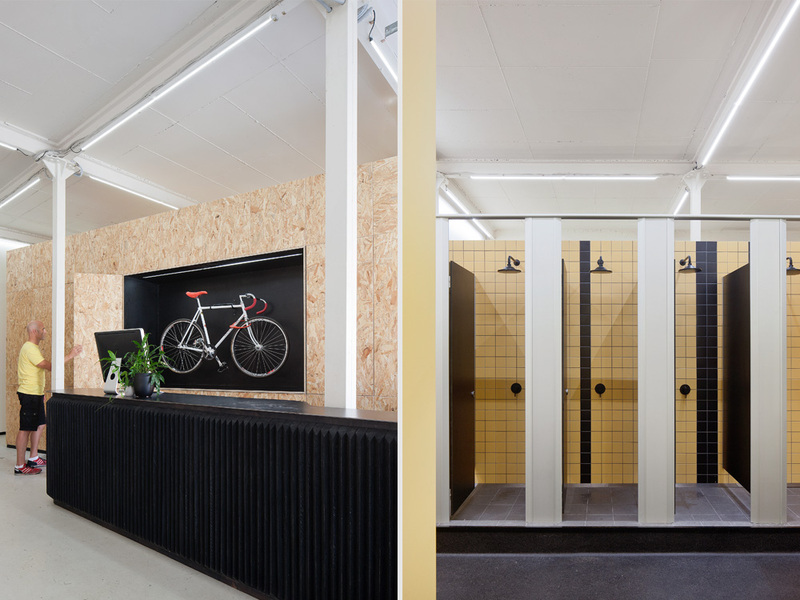 Molecule’s brief was to provide an indoor cycling facility comprising a reception area, treatment rooms and showers downstairs, with a weights room and amphitheatre-style cycle studio on the upper level. The design challenge was creating an aspirational, uplifting workout destination with minimal cost and impact on the existing building; the response was to make clear the new elements, treating them as legible insertions within the large volumes and celebrating the character of the existing shell. New elements were conceived as strong forms while walls and floors were treated with graphic contrast.